This is my King cribbage board. This board was named after, and inspired by, one of my customers, Paul King of Oregon. Each hole is 3/16" in diameter, and the board comes with six giant-sized 2" long metal pegs. They live in a pocket in the back of the board, secured by a sliding brass plate. This way, you'll never forget where you put your pegs! The board is 17" long, 3.5 inches wide and 3/4" thick. 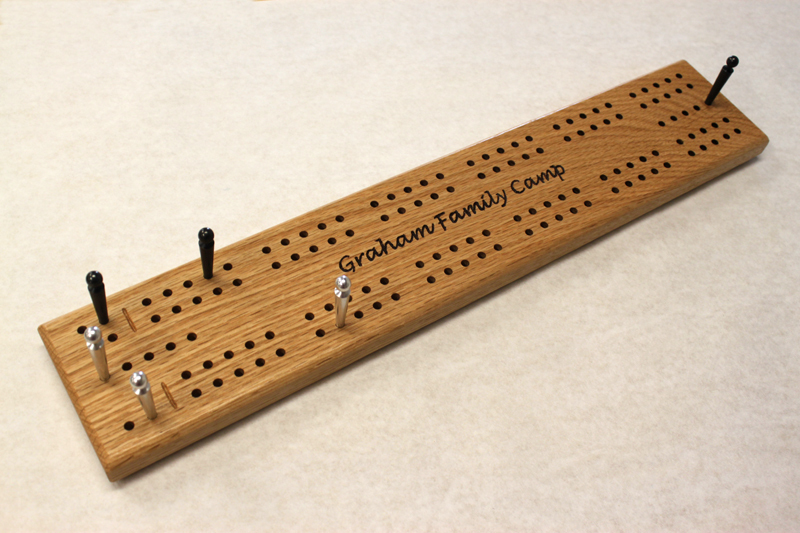 It also comes with five scoring holes and your name or short phrase engraved in the center.